Getting Ready for Fall - Begin Prepping Now!! As the summer marches towards fall… how are your prepper projects going? Have you made some lists? Have you begun to get your house in order? Have you begun to fill your pantry? I know my summer is flying by. I can’t believe that summer is over. I had so many plans for these warm months, but so far I have not been getting many of my projects done. I did get my garden planted. And it is progressing beautifully. But most of my time seems to get eaten up by busyness. So I am implementing some strategies to get on track going into fall. I thought I would share, so we can both get something done! 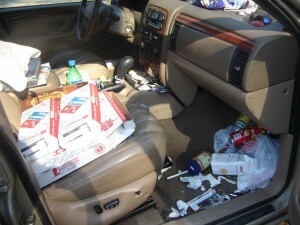 Clean out your car. We all spend a ton of time in our cars in the summer. And that can get messy. Having a clean car keeps your mind freed up. It makes things easier to find. Service your car. This heat is reeks havoc on cars all over. I have seen so many cars and trucks on the side of the road with blown tires and hoods up steaming. Change your oil. Check your radiator level. Make sure you have good tires. Check your belts. Get your papers organized. Many of you are getting kids ready for school. While you are scrounging up papers, get a copy of every one’s birth certificate, every title, the deed for your house, or your rental agreements, and insurance papers for everything. Put all the originals in an accordian file, so if you needed them all your important documents are in one place. Take the copies and mail them to a safe place outside of your area (like Grandma’s house in the next state.) Someplace that is not likely to get hit with the same disasters as you. Start thinking about winter! 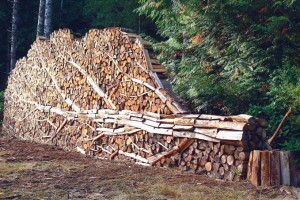 If you have a fireplace in your home , make sure it’s in working order…and get some firewood hauled into the yard. If you have a propane heater, make sure you have bottles full. Everything is easier to do in warm weather, so spend some time preparing. Think about doing some of the chores that will get your house ready for winter. Clean out the gutters. Fix the porch railing. I know it is more fun to squeeze in extra bbq’s but think about how much less stressful winter will be , if you get this stuff done now. A job that takes 30 minutes now will take 2 hours in the snow. I will do the job now, so I can sit inside, all snug in my blanket, reading and watching it snow, while drinking cocoa. Good Luck! Thanks for reminding me of all the work I have YET to do…lol. Great suggestions! There is always more to do…as long we keep plugging along, we’ll gitt’er done!!! What a great article to remind everyone to start preparing for fall and the winter. I already ordered my yard bags for the leaves from the kids that come around doing their fall fundraiser. I love those bags. I think this week I will service my ari conditioners and pull the mout of the widows too. I think our attic fan will be good for the rest of the season. Thanks for reminding me about firewood. I always forget that one. I am so glad you are getting your list started. Good to have fun while you get stuff done. I love crisp mornings and leaves. I still have to do my swamp cooler. Firewood is on the list too. I think fall is the busiest time in my world…but I wouldn’t change it for anything. We have the firewood and pellets laid in and the garden is still going. I am excited. The bustle of fall is always rewarded by hot chocolate and a book that I’ve been saving, until it snows.